next reggaebomb april 19 ft 90 degrees! Big Up 2 the following people for jamming with us inna reggae stylee! U-Town's finest soundsystem consists of three friends who found each other through the power of reggae music in 2004. When Junior Ozzie, a punk/harcore youth with a vibrant love for deep reggae music, was asked to host a cocktailparty, he did not hesitate and invited his fellow rude boy Smartin to join him. The night itself was greatly appreciated by many and a second edition was setup: A regular reggae night was born. Both Smartin and Junior we're residing in a house called "the Elephant" and so they had no difficulties finding the newly born sound a proper name: Elephant Soundsystem. A third member was found in Cold Sweat, a local reggae afficionado with a thing for 45's and Joe Gibbs productions. 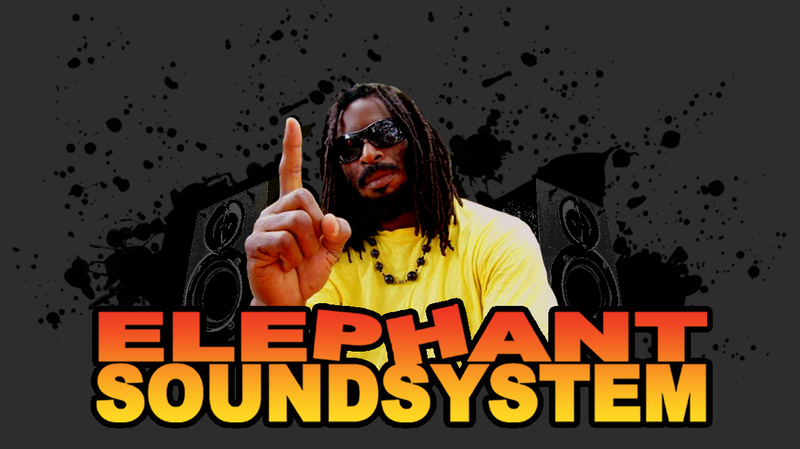 Soon after, the Elephants hosted a string of sold out shows and toured the Netherlands.The trio is also hosting a bi-weekly show on http://www.reggaespace.com on which they showcase their deep love for anything reggae in lively 2 hour shows.